A floral sticker of Indian inspiration. A spiritual representation that will take you to exotic places. Brilliant flower decal for your home! Lotus is the national flower of the world’s spiritual leader, India. It represents peace, fortune and tranquility. 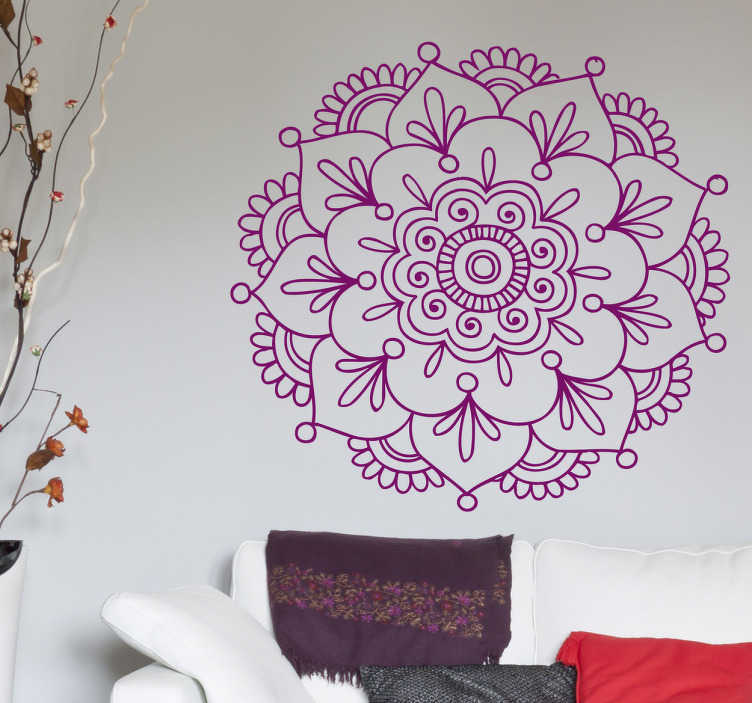 This vibrant wall sticker is an exotic representation of lotus. This flower decal is available in different colours and sizes. The decal is ideal for your living room or bedroom. However, this wall mural, made of high-quality vinyl, can be applied to any smooth surface without any problems whatsoever. It’s time to embark on a spiritual experience with this mesmerising adhesive. Place your order now.